We love finding new traditions around here. 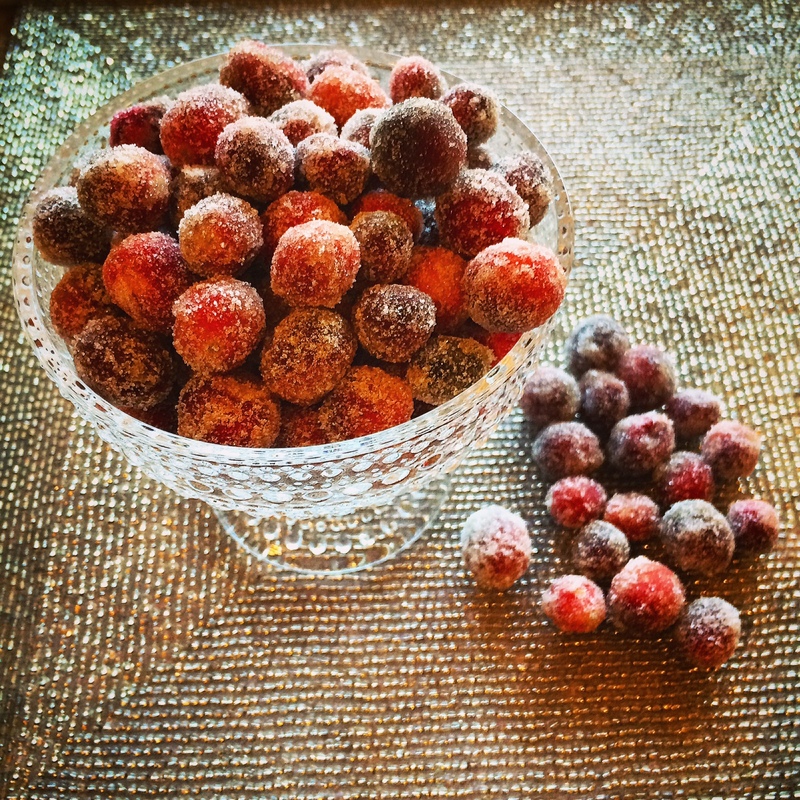 We are on year 2 of making these Sparkling Cranberries from Southern Living. While they are perfect on their own, there are endless possibilities and ways to serve them around the holidays: Adorning baked brie, used on brownies or cakes, or in mini fillo cups…there are a lot of delicious possibilities! Remove from heat; stir in cranberries. Cover and chill 8 to 12 hours. Place sugar in a large bowl or baking dish. Drain cranberries in a colander (about 15 minutes). Feel free to save that syrup for later…don’t let it go to waste! Add 4 to 5 cranberries at a time to sugar; gently toss to coat. Repeat with remaining cranberries. Place cranberries in a single layer on a parchment paper-lined baking sheet; let stand until completely dry.